This toast was born out of a need to use up the last few ingredients before we headed out of town one weekend. I had a few slices of bread from soup the night before, a handful of berries and a smidge of ricotta cheese after creating this pizza. BL always tells me how good I am at creating something from nothing, which I’m pretty sure is meant both as a compliment and a subtle dig. Good at creating mountains out of a mole-hill and making a meal out of almost nothing. My sweet friend Sherrie served a savory/sweet toast at our Nourish Yourself event a few months ago featuring yoga and brunch. 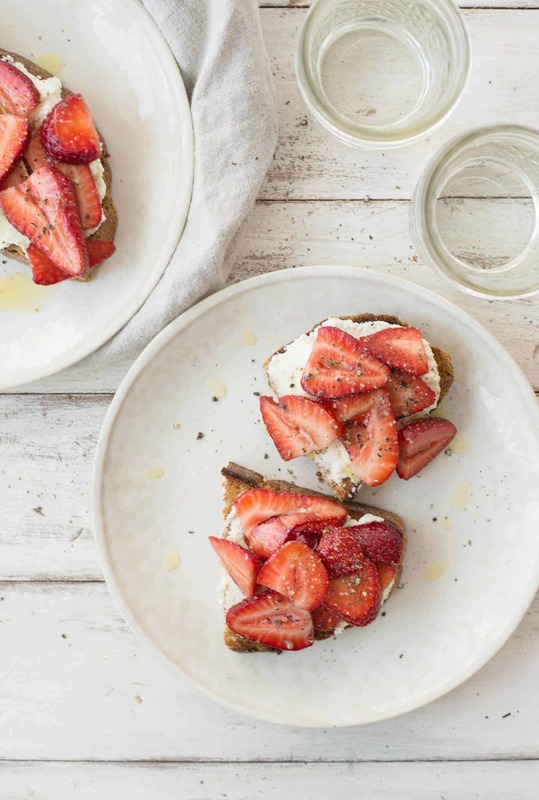 Her toast was layered with ricotta cheese, a berry-beet sauce and a drizzle of good, fruity olive-oil. It was simple, yet divine. I’d been thinking about that toast ever since, so when I saw what ingredients I needed to put to use, I knew what had to be done. My grandmother has served berries like this for dessert since as long as I can remember. A big bowl of fresh sliced strawberries tossed with a drizzle of balsamic vinegar, the perfect close to a hearty Italian meal. It’s also a nice way to heighten the flavor of fresh berries, without any additional sugar. You don’t really taste the vinegar, but the berries come across a tad bit sweeter and brighter. Honestly, I didn’t even know this was the secret until I started to prepare them myself. Thanks G, once again, you make me a better cook. Get the good bread for this one. That’s something that I’ve fully embraced since this pregnancy; life’s too short for bad bread. 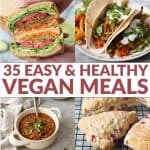 I’ll head to the bakery (or the bakery section of the grocery store if I don’t have time to head to Winslows/Union Loafers) and grab something for the week. Toast, whether topped like this, with avocado, or just enjoyed with a little butter, is so much more enjoyable when it’s the good stuff. Leftovers are perfect as salad croutons, dipped into soup, or pulsed into breadcrumbs and placed in the freezer. Though, let’s be real. With the amount of carbohydrates that are part of my diet these days, leftovers aren’t really a thing. Don’t skip over the drizzle of olive oil and ground pepper on top. I know, I’ve been saying that a lot lately. Perhaps it’s because I’ve watched more Food Network over the past few months that I have in a decade. But, it’s worth it. Good quality is my new wine, I want it with just about everything. 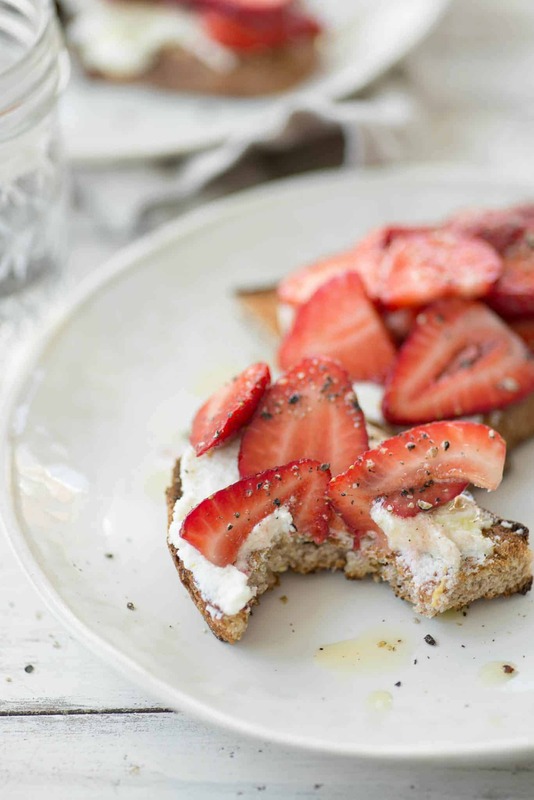 Balsamic Strawberry Ricotta Toast. 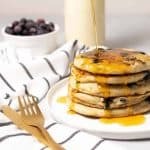 The perfect breakfast for this time of year. 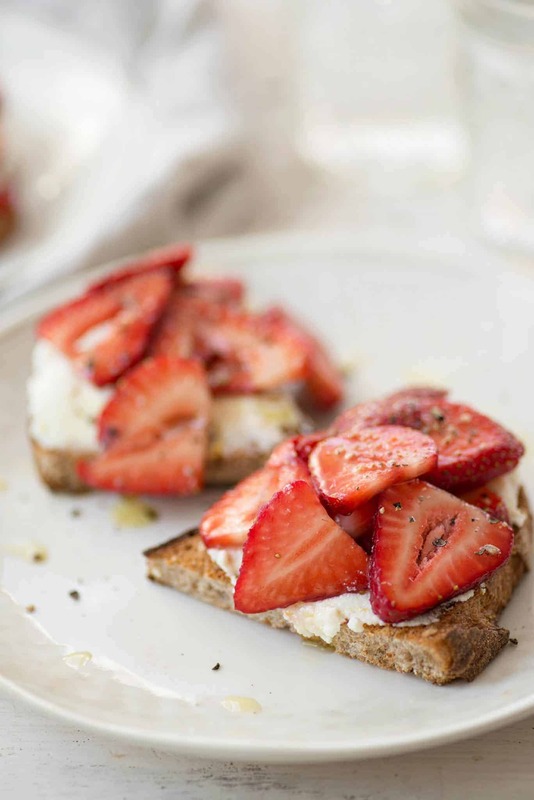 Balsamic soaked berries spooned onto thick toast with orange ricotta. 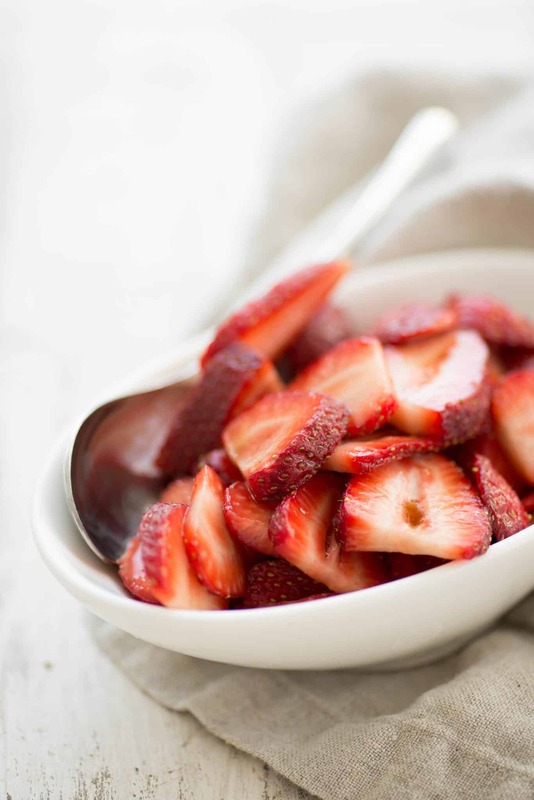 Combine the sliced strawberries and balsamic vinegar in a bowl and let sit for at least 10 minutes. Combine the ricotta, orange zest and juice, olive oil and pinch salt in a separate bowl. Toast the bread in a toaster or oven, then divide the ricotta cheese and spread on top. Spoon the berries onto the bread, then drizzle with olive oil and freshly ground pepper. 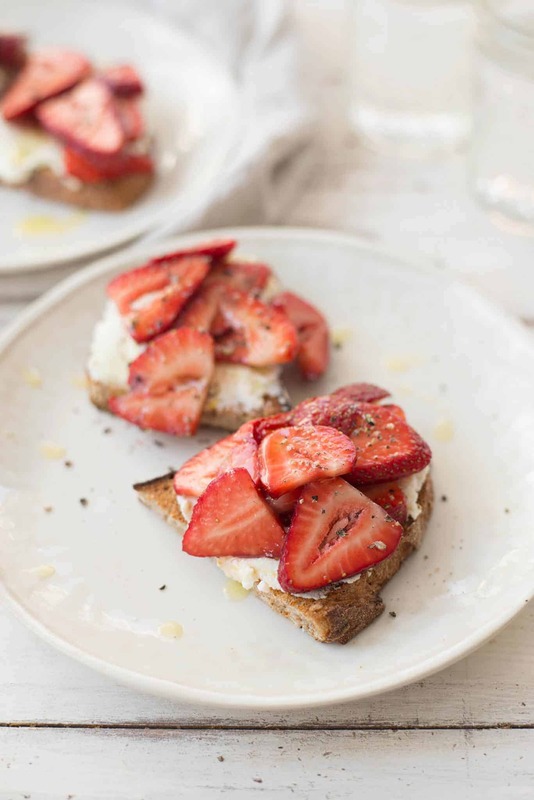 Hi, the descriptions says Balsamic soaked berries spooned onto thick toast with orange ricotta. but there is no orange in the recipe.??? Ah, yes! Should be orange zest, not lemon zest- just updated it. Thank you!